The difference between formal and informal discipline systems and when to use each. The role of values, rules, and consequences. How to address the underlying causes of discipline problems that occur both in and out of school. What teachers can do to defuse or prevent classroom disruptions and disrespectful behavior without removing students from the classroom. Why traditional approaches such as threats, punishments, and rewards are ineffective--and what to do instead. How to use relevance, teacher enthusiasm, choice, and other elements of curriculum and instruction to motivate students. How to reduce both teacher and student stress that can trigger power struggles. 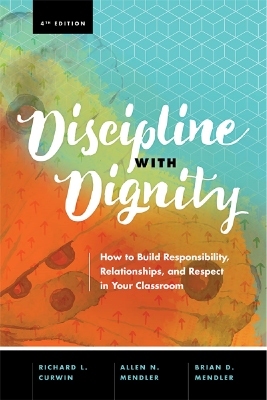 With dozens of specific examples of student-teacher interactions, Discipline with Dignity illustrates what you can do--and not do--to make the classroom a place where students learn and teachers maintain control in a nonconfrontational way. The goal is success for all, in schools that thrive. Allen N. Mendler is an educator and school psychologist with extensive experience working with children of all ages in regular education and special education settings. As a motivational speaker and trainer on topics pertaining to challenging students, he has given workshops and seminars around the world. Brian D. Mendler has extensive experience working with challenging students in general education, self-contained, and inclusion settings. He provides staff development training for K–12 educators throughout the world, drawing upon his own experiences as a student who struggled with a learning disability and severe ADHD, and focusing on how to be successful with even the most difficult students.